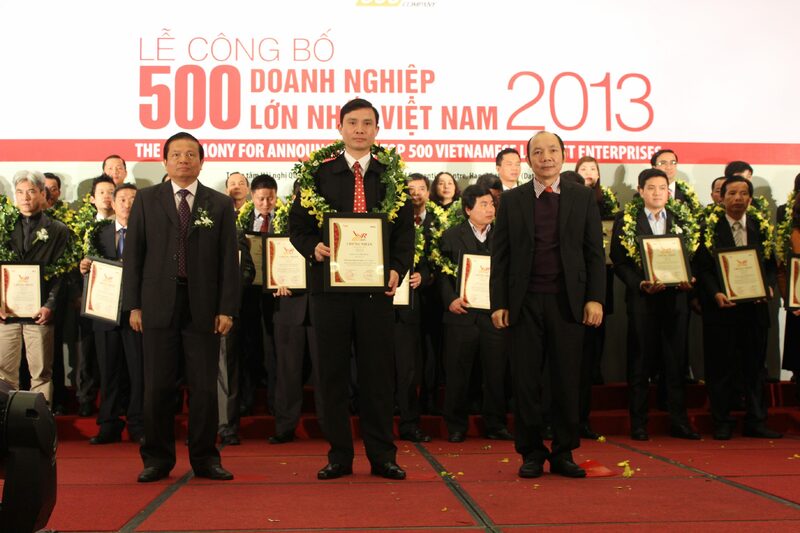 Tien Hung JSC was incorporated under the Business Registration Certificate No. 2300223949 dated 28 Feb 2002 issued by the Department of Planning and Investment of Bac Ninh. Located in Tien Son Industrial Zone, Bac Ninh Province (near highways: 1, 2, 3, 5, 18, 38 and within the economic triangle Ha Noi – Hai Phong – Quang Ninh) with a total area of 30,000m2, convenience of geographical position and transportation help our product distribution to northern provinces as well as central provinces quickly and easily . Year 2005 marked an important milestone in our business development with the commissioning of the first automatic modern wheat flour production line of Bühler – Switzerland which has the milling capacity of 150 tons per day and a wheat storage silo system of Prado- Spain capable of storing 10,000 tons. 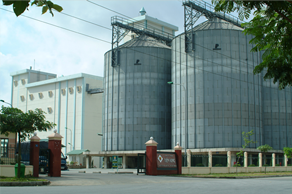 Subsequently, we decided to extend three more milling lines in Bac Ninh plant, bringing the total milling capacity to 500 tons per day and increasing storage capacity of silo system from 10,000 tons to 16,000 tons. 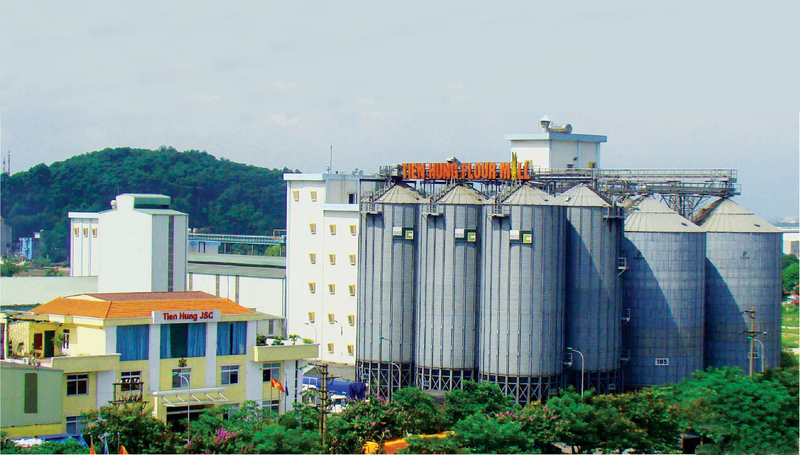 Taking the advantages of Hai Phong Port, we started to build a new flour mill with capacity of 500 tons per day and silo system containing 40,000 tons in Dinh Vu Economics Zone, Hai Phong City, Vietnam in 2011. May 2013, We began our production with the first production line (capacity of 200 tons per day) and a silo system of 12,000 tons. Our motto is “Product quality is the first priority, which decides the existence as well as the expanding of the Company”. We have equipped Quality Assurance Department with the most advanced experimental equipment in accordance with European standards such as: quick grain and flour quality inspection equipment; protein meanring equipment, falling number equipment, farinograph & extensograph, ... In addition, we also focus on investing human resource and equipment for our Research and Development Department. Applying quality control systems under international standards ISO 22000:2005; ISO 9001:2008; HACCP also helps us control product quality well and save production costs. 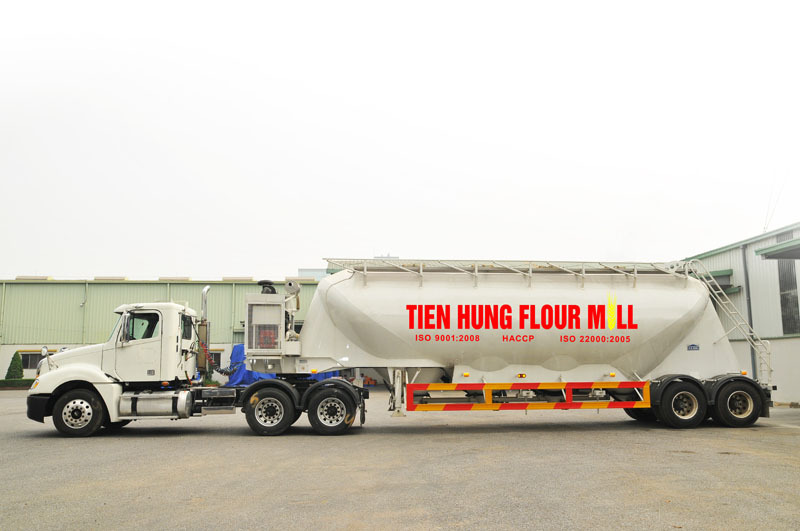 Seeing the outstanding advantages of bulk tanker specialized in wheat flour transportation such as food safety, friendly with environment, labor reduction…, we have purchased specialized tankers for transporting wheat flour to our industrial customers. With a group of young and enthusiastic staff who are equipped with modern technology knowledge and professional skills, we are always ready and confident to stand firm and develop in the context of competitive business environment as today. Besides the general products developed for general markets, we are the pioneer company in producing custom - made products as required by each industrial customer such as ORION Vietnam JSC, ACECOOK Vietnam JSC. Along with affirming our position in domestic markets, we also have been expanding into foreign markets. Now our wheat flour products are being exported to foreign markets such as: Hong Kong, Thailand, Malaysia, Korea. We are still continuing our expansion into other countries in the region.